than an alchemist trying to convert lead to gold. units would be purportedly representing. out correctly, it's a pretty sure sign you're making calculation mistakes. 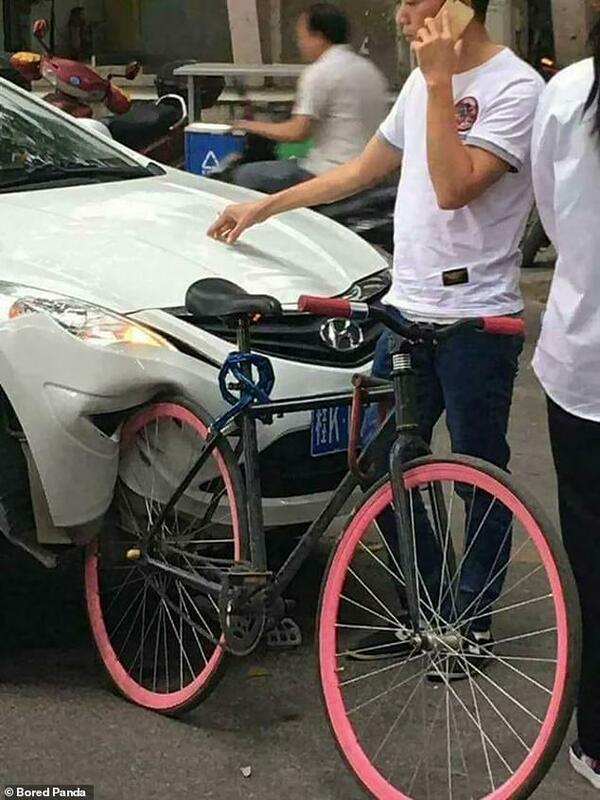 when it is common sense that a BICYCLE DOES NOT HAVE ENOUGH TRACTION TO DAMAGE A MOVING CAR. keep their units of measurement straight!" town and probably left the country. And your entire company didn't even know the laws of thermodynamics? ??? What a massive non sequitur! Wow, I just dropped by after literally years of absence and I still see familiar names... in any case those look like Velocity Deep-Vs and I can vouch for their strength. Still have a pair on my Cannondale; they replaced the original Gipiemme wheels which had an odd spoke pattern that made trueing, um, problematic. The latter are stored away in case I ever sell the bike but at this point it's probably scrap value although it still rides fine. Welcome back! See you on r.a.t. later? I have had a lot of, um, life challenges the past few years. I was retrieving some of my tools from my storage locker so hopefully I can fix my car so that it'll stop throwing a CEL. Stopped to pick up some Metro shelving off Craigslist to organize said tools and seller was trueing a wheel off an old Trek MTB in his driveway so we of course ended up chatting I almost grabbed my trueing stand and would have had it in the back of the Heep if I had, but I didn't. I was actually searching here to see if I could determine if the old SON dynohub I have stashed away was 32 or 36 hole but I guess that will wait until I find that box. I was going to pass it onto him if he could use it because I don't need it. Sadly, I haven't done any kind of real car work other than maintenance in close to 10 years. Same for bikes, my Trek 620 build was the last "real work" I've done.